It’s that time again! The summer went by in a flash, and here we are in September (which still feels like summer in part of the world). So I’m continuing my monthly roundups with the articles I published in August. There were some great games, some not-so-great games and some new things I tried. I’ll be covering everything here from the entire month in case anyone missing anything. First off, I finally played Simogo’s Year Walk, mostly to avoid having my Adventurer’s Card revoked. I had mixed feelings about the game, but in the end the positives far outweighed the negative. You can see my full review here. If you haven’t played yet, I highly suggest picking it up if you like atmospheric puzzle adventure games. 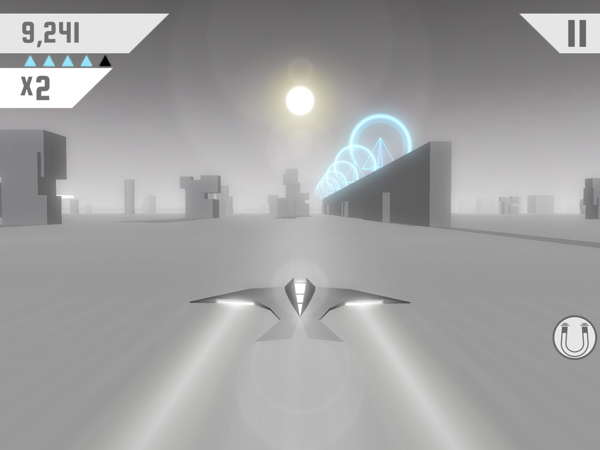 I also got to play Flippfly’s Race the Sun, which is a highly polished endless runner (or flyer) ported from PC. If you played the recent game Breakneck and wish there was something more polished, with no micro-transactions or pop-ups, then this is the game for you. You can read my full review here and download the game here. Another great game that came out in August was cryptic puzzle game called The Guides, by Kevin Bradford and Luke Lisi. It’s a very mobile-friendly game that includes decoder sight in the app, minimizing the need to use pen and paper to solve the puzzles. Like Year Walk, it comes with a companion app that explains the story better. You can read my full review here and see my step-by-step walkthrough here. If you like what you see, download the game here. I wrote something very different than my usual content for my site. I read an article on BoingBoing that rubbed me the wrong way, so I decided to write a response to it. If it speaks to you or you have any games recommendations of your own, I would love to hear from you in the comments section. Coming off my obsession with Her Story, I realized I never played the FMV game MISSING: An Interactive Thriller. I really enjoyed it, but it’s only the first part and ends on a huge cliffhanger. I haven’t heard anything of the sequel, but I did enjoy the time I spent with it. If you play it, you can see my walkthrough here. You can also download it here. Gathering Sky, by A Stranger Gravity, is a gorgeous experience that lacks any real gameplay. If you like beautiful, artistic games and don’t mind the absence of goals or consequences, you might enjoy it. You can read my full review here and download the game here. 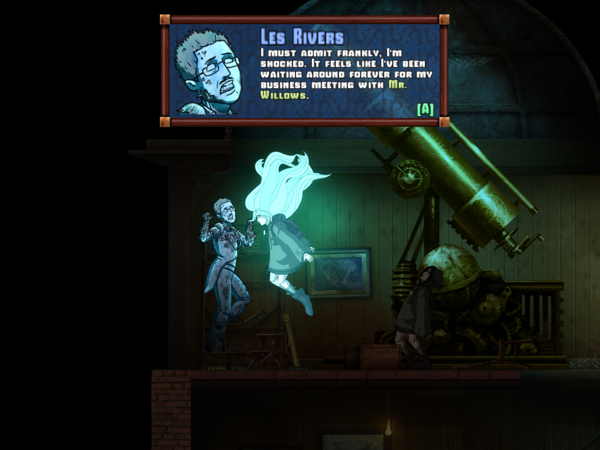 Whispering Willows is a gorgeous adventure game by Night Light Interactive that I was really looking forward to. It also has a unique puzzle mechanic that I really like. Unfortunately, it was not ported very well to iPhone and iPad from its console version. You can read my full review here. Luckily, the developer is working on improvements, so if you want to get it at the sale price before the update, you can download it here. KOI – Journey of Purity was a game that looked very promising, but I gave up very early on due to poor controls and frustrating gameplay. If you have more patience, you might enjoy it. You can see my impressions here and download the game here. REBUS – Absurd Logic Game, by Jutiful, got more levels and I have all the solutions here. I also started some walkthroughs that I haven’t finished yet but might be worth checking out: The Lost Treasure Island 3D – Escape Adventure Puzzle Game, Doors & Rooms 3, Night & Day – an illustrated puzzle experience, and Escape the Temple. I also spent some time with Tiger Style’s Spider: Ride of the Shrouded Moon. I personally couldn’t get into it, but it’s been received well by many. I also appreciate that the developers added a secret unlock-able non-spider playable character for the arachnophobes out there. You can read more about that here. And that’s everything from August! I’ll see you back here in October for September’s roundup! Almost immediately after I posted my review of Missing I sought out the developers and asked if there was going to be any more Missing. As I expected, it appears to be mainly an issue of funding at this point. They do want to continue the series, however, and they also apparently have plans for other adventures as well. I hope they find what they need, because I’d love to see a sequel to Missing. It was left on such a cliffhanger that it wouldn’t be so much a sequel as Chapter 2. I really do hope they get the chance to show us the rest!